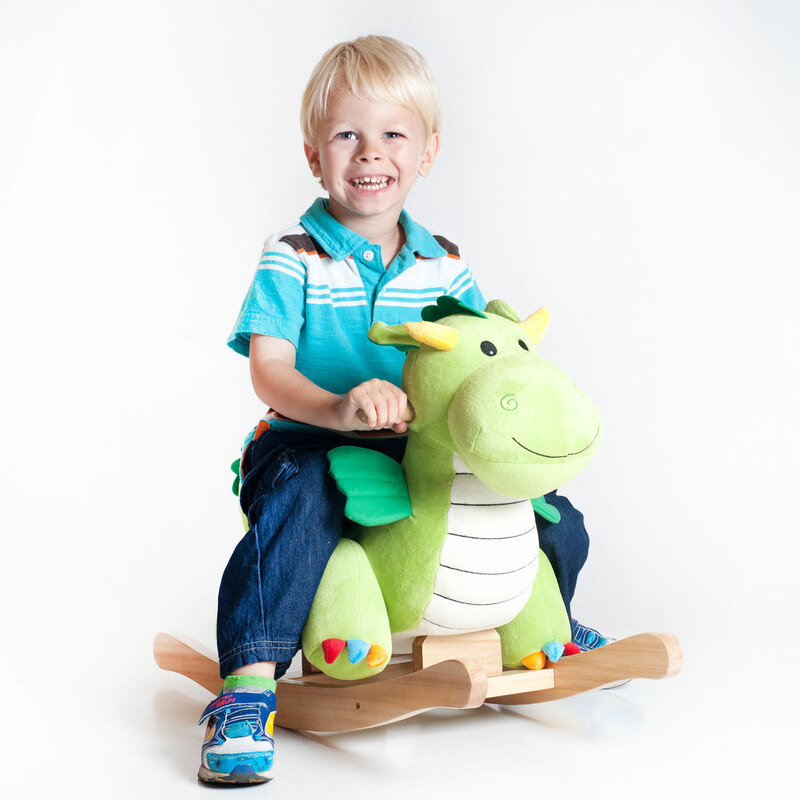 This soft, plush Rocking Dagwood Dragon from Happy Trails is sure to be your child's favorite toy. 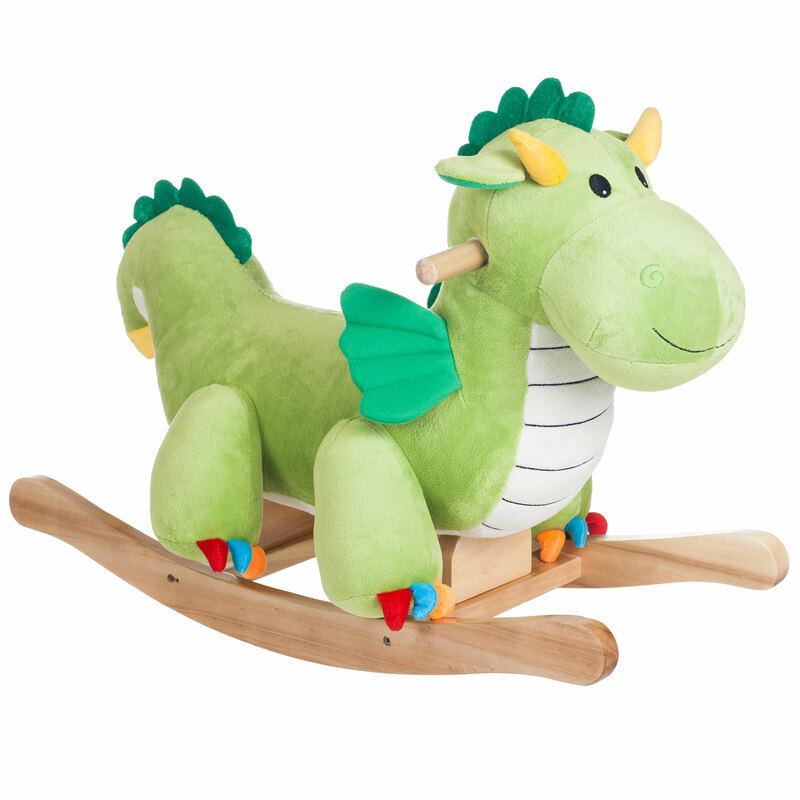 It is crafted with a wood core and stands on sturdy wooden rockers. 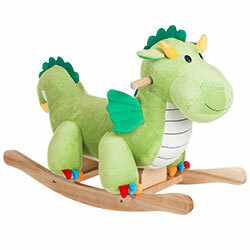 Your little one will enjoy hours with this wonderful Plush Rocking Dagwood Dragon from Happy Trails.